A Roxborough Dolman Tee started at home. I’m looking forward to seeing how my two similar but different Color changing yarns will interact in the striping. Colors are starting to change at the Charlottesville airport! 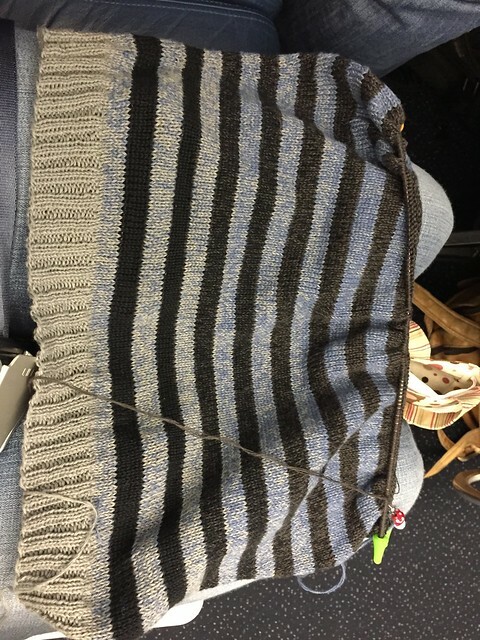 More stripes in Atlanta, though I’m beginning to suspect that my gauge is different enough that this will be too small. 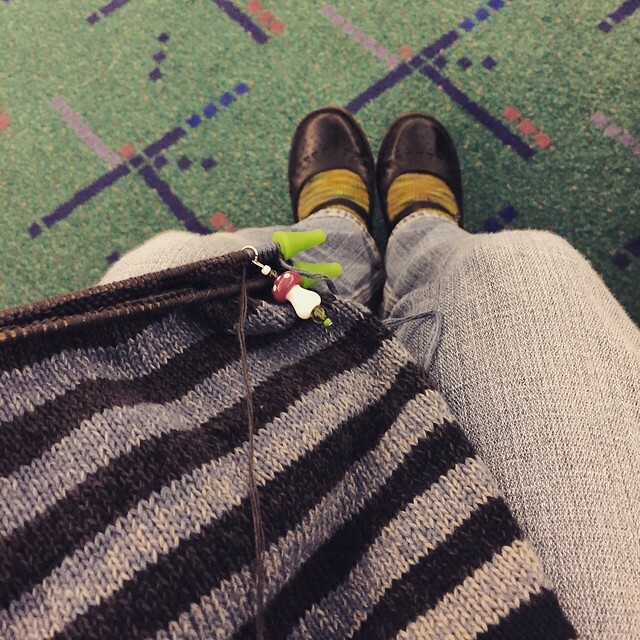 In Portland on our return trip, I’ve made lots of progress in the last five days, but I can also see that the stripes aren’t dancing the way I had hoped, the sweater seems too small, and the construction will mess with my gradients. 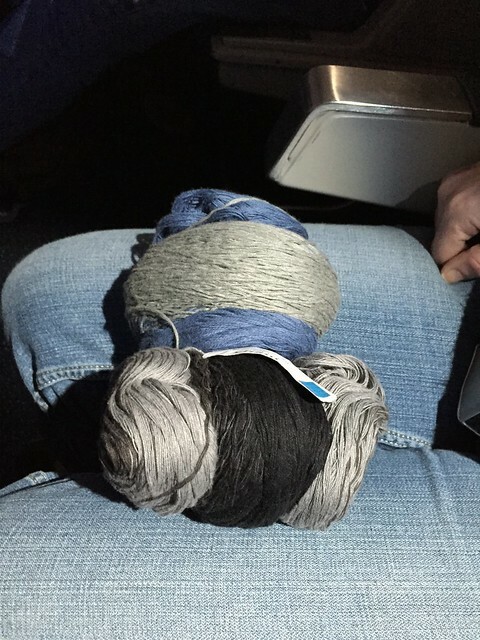 On our first flight I realize it’s a losing battle — I’m just not loving it. Frogged before the drink cart made it to our aisle. In Minneapolis I download a new pattern. 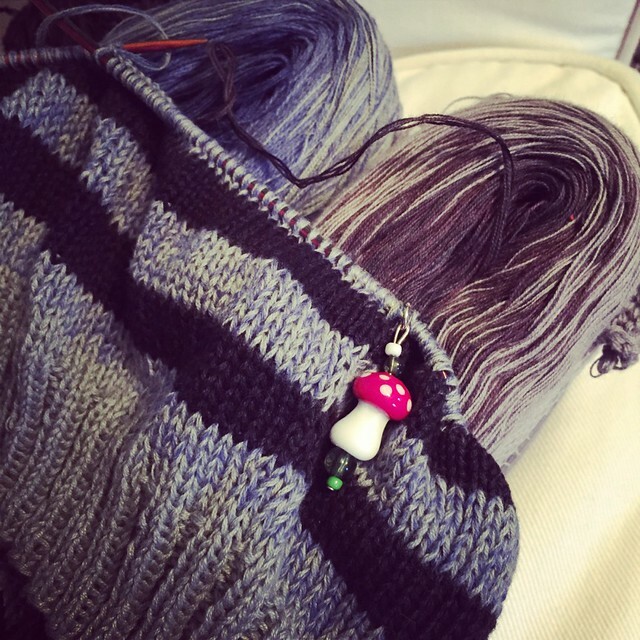 Now it’s an Elfe and I’ve swapped out the black/grey yarn for another blue/grey. By New York I have a neckline. BTW, La Guardia has the most boring of the airport carpets. I thought the subtle gradient looked great!